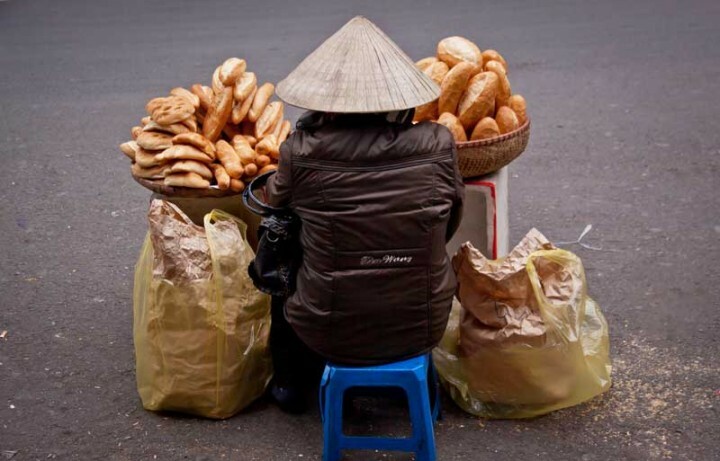 A journey to Vietnam isn’t complete without a stay in Hanoi, the country’s capital city. Sure, but there’s so much more that Vietnam has to offer! After explaining how to survive Vietnam last week, I’ll now tell you which highlights not to miss on your Vietnam trip: 8 good reasons to travel to Vietnam this winter. A journey to Vietnam isn’t complete without a visit to its capital. Hanoi is medieval yet modern. Fallen from time. A metropolis respecting cultural traditions yet bursting with life. The Old Quarter perfectly represents its multifaceted nature. It is loud, close and cramped. It smells of Asian food, spices and incense, of exhaust and garbage. Thousands of scooters share the streets with tourists and locals, street vendors and shopkeepers and the occasional animal. Back in the Middle Ages, shortly after the completion of the King’s Palace, the first craftspeople settled in the city. Every guild took another street. 36 streets got their very own character which they have kept until today. Even now, each street has a very own character and the street names are very telling: Hang, meaning merchandise, and the product that was sold in the street. Thus, Hang Doi means silk street, Hang Bac is silver street and Hang Thiec is metal street – you’ll see people weld on the open street! Tip: Watch the hustle from the street! Preferably from a pedicab. From there, everything will look even more busy, and the feeling to be driven through traffic on a bike is both scary and appealing. Streets of Hanoi. Photo: Brian Huang CC BY-NC-ND 2.0. 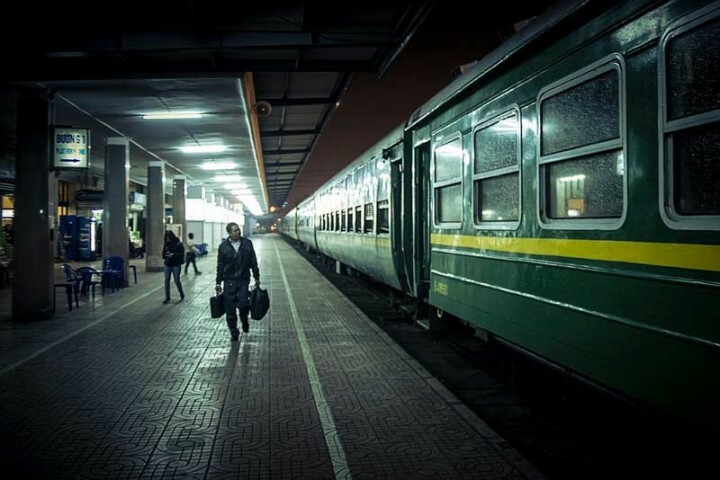 The night train is a very common means of transportation in Vietnam. Many people have family all over the country and use the train to get there as they don’t own a car and long distance travel with a scooter isn’t very comfortable. Between Hanoi and Sapa, there’s a train with double cabins and between Hanoi and Ho Chi Minh City compartments are for four or more persons. Trains are the most punctual means of transportation in Vietnam. Which doesn’t mean that they actually are on time. It’s pretty helpful to keep calm, relax and enjoy the view when a train is running late. There are no announcements about delays on the train but the conductor will usually wake you up before you arrive at your destination. Tip: Take one of the upper bunks. The mattresses aren’t as worn as those below. And besides, you have a bit more privacy up there. Needless to say that it helps a lot to bring ear plugs – which you should have in your backpack anyway. Night train. Photo: Jonas Ginter CC BY-NC-SA 2.0. There are said to be around 500 national dishes in Vietnam. I haven’t tried them all but I was delighted by everything I tried. I’d recommend you to eat some street food instead of rushing to restaurants all the time. If you leave Vietnam without a taste of its street food, something definitely is wrong with your appetite and you should go and consult a doctor. Joking aside: Eat! All those little barbecues, cafés and street kitchens are usually specified for one dish. You’ll get fried vegetables, grilled meat skewer, baguette, soup or wok dishes on every corner. And always, you’ll have that wish to eat even more as the smell of food is heavenly. Granted: Some street kitchens may look a bit dirty or run-down – but you can count on one thing: Whatever comes from there has been grilled. So every harmful little bacteria has surely been killed by the fire. If you happen to have a very sensitive stomach, don’t drink beverages with ice outside the tourist areas – they sometimes make them from tap water. Tip: It’s not only Vietnamese food that is excellent! Lovers of sweet coffee should try café sûa, cold coffee with sweet condensed milk. Weasel coffee is also a specialty. It’s made from coffee beans that have previously been digested by weasels. Forgo Halong Bay! Respectively: Don’t book just any tour to the bay. Not because Halong Bay isn’t wonderful. It is breathtakingly beautiful. But you won’t be able to enjoy its beauty as there will be around 3000 other tourists all taking the same routes. Some of them only come for day tours. If you don’t like the idea of a package cruise, you should consider a three day tour to Halong Bay with a night on Cat Ba Island. Cat Ba is the only inhabited island in the bay and most visitors don’t even get near there. Alternatively, you could visit Bai Tu Long Bay, east of Halong Bay and every bit as beautiful but harder to reach. Tip: An overnight tour to Halong Bay costs around 80 to 150 Dollars from Hanoi. Most ships operate on the same schedule: Caving, kayaking, squid fishing at night and a cooking lesson which all sound better than they actually are. A three day tour with one stay on a ship and one on Cat Ba island is around 200 Dollars. If you want to get to Bai Tu Long, you better go there individually – by boat either from Halong City or from Cai Rong – as only very few tour operators offer a tour. A view on Halong Bay. After the Vietnam War that they call the American War over here, tourism developed slowly. Even now, Vietnam isn’t as popular among tourists as its neighboring countries China or Thailand. Most visitors travel along certain routes as individual travel is pretty exhausting – thanks to Vietnam’s infrastructure. Therefore, there are some regions in Vietnam that rarely see any tourists at all. 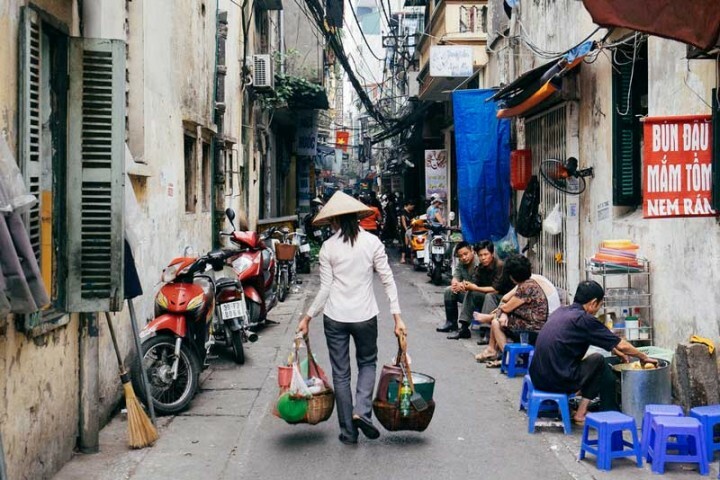 This is where you’ll see the old, traditional face of Vietnam. People are still curious for you. So make sure you plan at least one stop in a not so touristy region along your way! Tip: Not completely off the path but not too touristy either is Son Trach, a small village at the entrance to Phong Nha-Ke Bang national park. Every Vietnamese owns at least one scooter. Thus, scooters are most popular for shorter rides. Don’t worry about your luggage – you’ll be surprised what can be transported by scooter: Cement bags, living pigs, whole families. Scooters are cheap and useful. By the way: You can also rent one for longer tours if you’re more into adventurous and slow travel. Tip: Maybe you shouldn’t start to drive around on a scooter in Hanoi or Ho Chi Minh City. There are no other places in which traffic is heavier and more chaotic. Driving is not a problem in smaller cities or in the countryside – even if you don’t have any driver’s license at all. A short briefing that usually just involves that you are shown how to start the engine is enough. Phong Nha-Ke Bang is a national park near the Laotian border and ranks as World Natural Heritage. Lovers of plants and animals will love long walks through the park in dry season. Beneath the earth, an astonishing cave system lures adventure-seekers and Indiana Jones wannabes. Some of the huge caves were once used as a shelter of the North Vietnamese during the Vietnam war. The biggest cave of them all – Hang Son Doong, 21.263 feet long and up to 656 feet high – was discovered years after the end of that war. It is still unclear if the cave will ever regularly be opened for tourists. Tip: Check into one of the very few accommodations in Son Trach instead of visiting the caves of Phong Nha-Ke Bang on a day tour from Dong Hoi or Danang. Son Trach is just at the border of the park and is the perfect gateway for explorers. 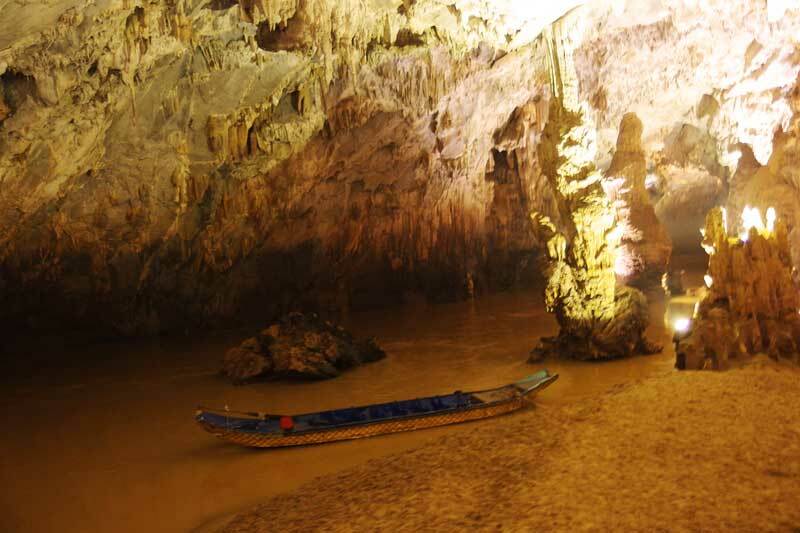 Some of Phong Nha-Ke Bang’s caves even have subterranean rivers. To be honest: Hoi An is a little too beautiful to be true. The small city in Central Vietnam is more of an Asia Light experience than a true Asia experience. The inner city is decked out and polished. In the evenings, hundreds of lanterns illuminate the streets and tea candles float along the river. Some parts of the old city are closed for traffic. Even though you can buy custom-made clothing nearly everywhere in Vietnam, Hoi An is the center of tailoring. 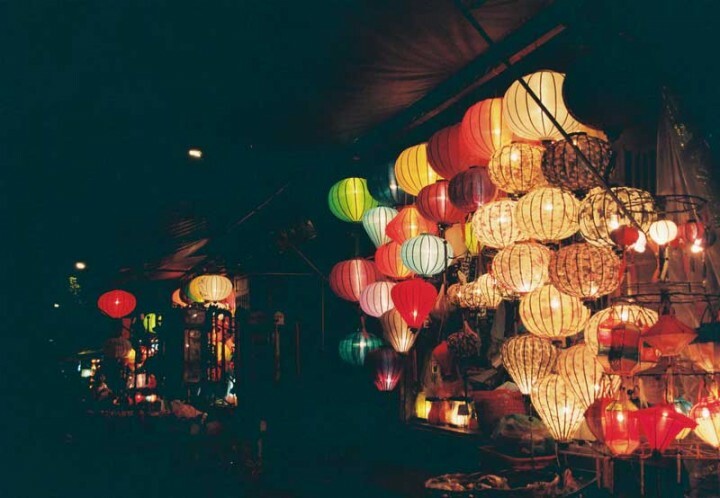 It’s hard to leave the city without a brand new pair of shoes, a new dress or suit or a hand made silk lantern. Tip: It’s good if you have at least a little knowledge of fabrics. Fabrics that are said to be silk often turn out to be chiffon. The same is true for leather. You’ll recognize genuine leather if you hold it against an open flame for a very short time (e.g. from your lighter). Nothing will happen to genuine leather while faux leather will curl and smell of plastic. If you burn a very short piece of silk, it will light up with a flame and leave some ash behind whereas synthetics will just melt. Most of the times you can be sure that your tailor is going to tell the truth if you threaten to try the fire trick. 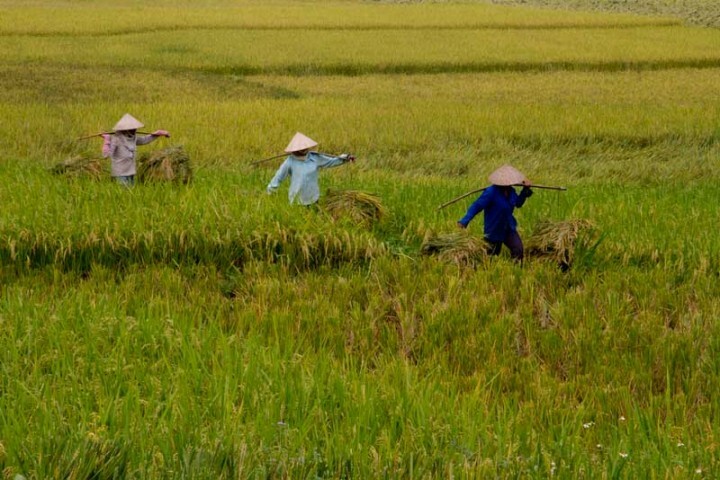 The contrast between North and South Vietnam is never as obvious as in the contrast between Hanoi and Ho Chi Minh City. The traditional, socialist capital in the North finds its counterpart in a sophisticated, very Western metropolis. Here, you’ll find McDonalds, Burger Kind and Kentucky Fried Chicken, skyscrapers, neon ads and construction sites. HCMC is a rapidly growing city with a financial district in which bankers have a coffee at Starbucks in their lunch break. Something that is unthinkable in the North. 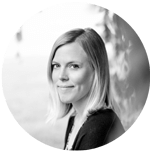 Tip: Get That Party Started! HCMC loves to celebrate. So delve into the nightlife and enjoy! Why not dance until your feet hurt in the legendary Apocalypse Now? 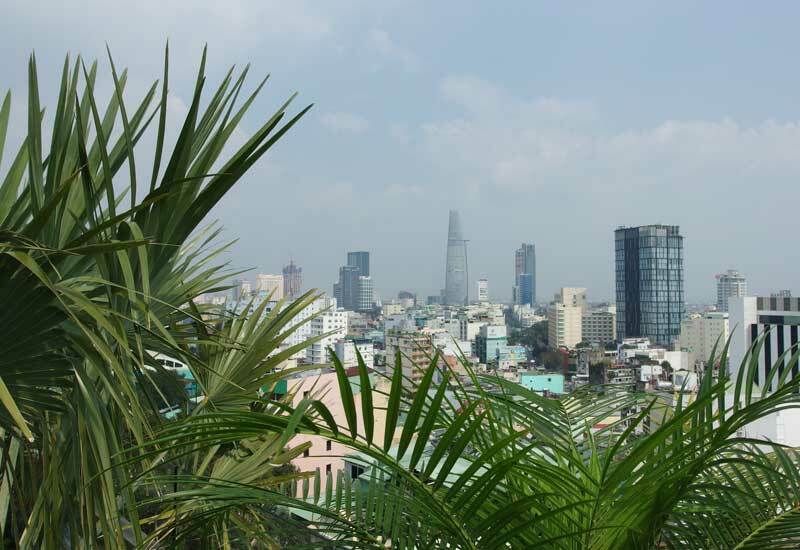 Or have a cocktail in a rooftop bar – such as that of Toa Nha Sheraton? You get it. Featured image by: Street Food in Hanoi von Maxime Guilbot CC BY 2.0.